MINNEAPOLIS — Target Corp. on Wednesday posted a 6.5% comparable sales gain for its second quarter, driven by increased store traffic and online sales. That is the company’s biggest increase in more than a decade. Total company sales increased 7.0%, to $17.6 billion, and total revenues rose 6.9% to $17.8 billion. Target said its traffic growth of 6.4% was by far the strongest since the company began reporting that metric in 2008. E-commerce also played a big role in Target’s overall comparable sales increase for the quarter. Comparable digital sales grew 41% in the three month period ended August 4, on top of 32% growth in the prior year period. Comparable store sales grew 4.9%. 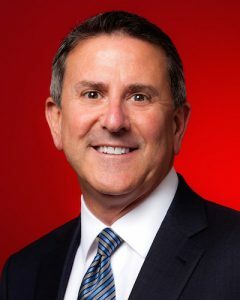 “We are extremely pleased with Target’s second quarter results, which demonstrate our guests’ excitement for the enhanced and differentiated shopping experience we’re building,” Target chairman and chief executive officer Brian Cornell said in a statement. “For the second consecutive quarter, traffic growth is better than we’ve seen in well over 10 years, driving 6.5% comp growth — Target’s best in 13 years. Target made capital investments of $1.03 billion in property and equipment in the second quarter. It also returned $761 million to shareholders in the period. That includes dividends of $330 million — down from $331 million in second quarter 2017, which the company said reflects a decline in share count offset by an increase in the dividend per share. Target also bought back 5.8 million shares of common stock at an average price of $74.31, for a total of $431 million. Target finished the quarter with about $2.3 billion of remaining capacity under its current $5 billion share repurchase program. For both the third quarter and second half of 2018, Target said it expects comparable sales growth in line with the 4.8% gains the company delivered in the first half. Target has also raised its earnings forecast for the rest of the year, projecting adjusted earnings per share in the range of $5.30 to $5.50, up from the previous forecast of $5.15 to $5.45.